Irvine, Calif., Sept. 3, 2015 – Vicki Ruiz, Distinguished Professor of history and Chicano/Latino studies at the University of California, Irvine and president of the American Historical Association, has been named a recipient of the 2014 National Humanities Medal. She is among 10 honorees from elite universities nationwide who will accept the award from President Barack Obama at the White House on Thursday, Sept. 10. The ceremony will be live-streamed at 12:45 p.m. at www.whitehouse.gov/live. The National Humanities Medal recognizes those who have deepened the country’s understanding of humanities and broadened citizens’ engagement with history, literature, languages, philosophy and other such disciplines. Recipients are selected by the president of the United States in association with the National Endowment for the Humanities. While earning master’s and doctoral degrees in history at Stanford University in the late ’70s and early ’80s, she spent a transformative summer with Latino civil rights and labor leader Luisa Moreno. That’s how Ruiz’s life’s work began. An expert in 20th century U.S. history, the soft-spoken historian has dedicated much of her nearly 40-year academic career to reclaiming the stories of Latinas who have fought for civil and labor rights. Ruiz shared their experiences through her research on Mexican American women in the U.S. Southwest and, in the process, pioneered the field of Chicana/Latina history. She began with the direction Moreno set, publishing Cannery Women, Cannery Lives: Mexican Women, Unionization and the California Food Processing Industry, 1930-1950 in 1987. Since then, Ruiz has written or edited several more books, including Latinas in the United States: A Historical Encyclopedia, which she co-edited in 2006. The three-volume set – with more than 600 entries and 300 photographs – documents contributions by Latina women to the economic and cultural development of the United States. The first comprehensive gathering of scholarship on Latinas, it was named a 2007 Best of Reference book by the New York Public Library and an Outstanding Title by the Association of American University Presses. “Vicki Ruiz’s scholarship is a powerful testament to the ways the humanities can deepen and enrich our understanding of the world as well as of the lives of those who have made a difference to how we live in the world. 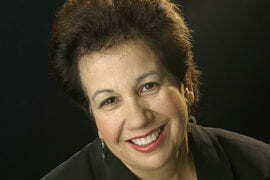 Vicki Ruiz has literally written Latina women and Hispanic civil rights leaders into history. She could not be more deserving of this honor, and we at the School of Humanities remain indelibly proud of her,” said Georges Van Den Abbeele, humanities dean. 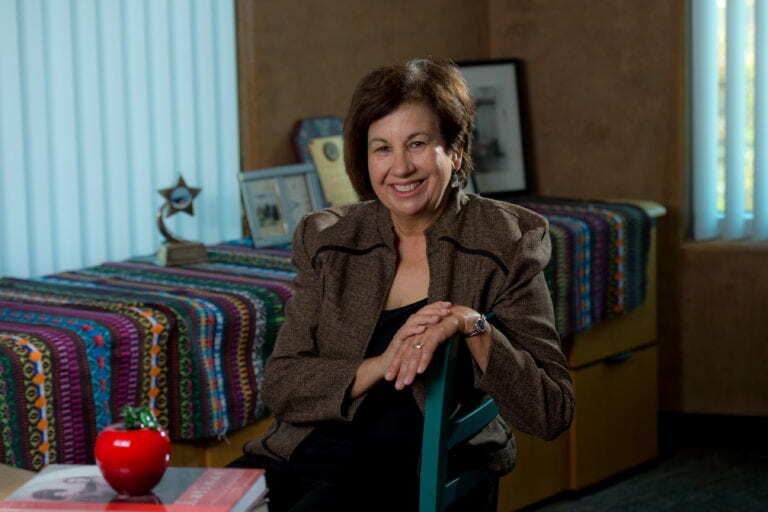 In 2000, Ruiz was named “Woman of the Year in Education” by Latina magazine, and in 2009, she was inducted into Stanford’s Multicultural Alumni Hall of Fame, established in 1995 to recognize distinguished alumni of color. In 2012, Ruiz was elected a fellow of the American Academy of Arts & Sciences, and in 2013, she was named Distinguished Professor of history and Chicano/Latino studies at UCI, an honor considered the campus’s highest for faculty. In 2015, UCI’s Alumni Association bestowed upon her the Lauds & Laurel Faculty Achievement award. Ruiz serves on an advisory board for the Smithsonian National Museum of American History and on the board of Imagining America: Artists & Scholars in Public Life, a national action research consortium. 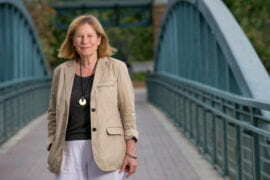 She has been president of four major scholarly groups, including the Organization of American Historians and the American Studies Association. The first in her family to earn an advanced degree, Ruiz joined the UCI faculty in 2001 and was named dean of humanities in 2008. She completed her term in 2012 and now chairs the Department of Chicano/Latino Studies in the School of Social Sciences. Throughout her successful career, Ruiz hasn’t lost sight of her initial plan: to tell the story of civil rights and labor leader Luisa Moreno. “She’s one of the most famous Latinas no one knows about,” Ruiz said. With her Stanford mentor Albert Camarillo, she’s now writing Moreno’s biography, coming full circle to what she sought to write at age 23. Ruiz is UCI’s first National Humanities Medal recipient. Including this year’s awardees, 163 individuals and 12 groups have been honored since 1996, when the first medal was conferred. 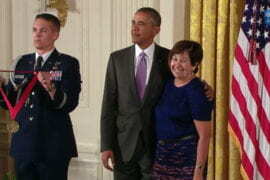 A complete list of previous honorees is available at http://www.neh.gov/whoweare/nationalmedals.html. About the National Humanities Medal: The National Endowment for the Humanities manages the nominations process for the National Humanities Medal on behalf of the White House. Each year, the NEH invites nominations from individuals and organizations across the country. The National Council on the Humanities, the NEH’s presidentially appointed and Senate-confirmed advisory body, reviews the nominations and provides recommendations to the president, who selects the medal recipients. Created as an independent federal agency in 1965, the NEH awards grants that support research, education, preservation and public programs in the humanities. The NEH is celebrating its 50th anniversary beginning Sept. 29.